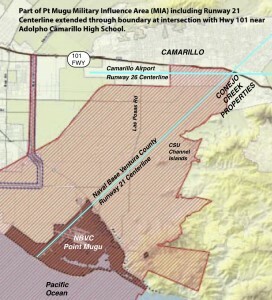 This official zoning map of Camarillo shows the last two remaining pieces of agricultural land within the City of Camarillo…both pieces directly affected by Airport operations in our area. 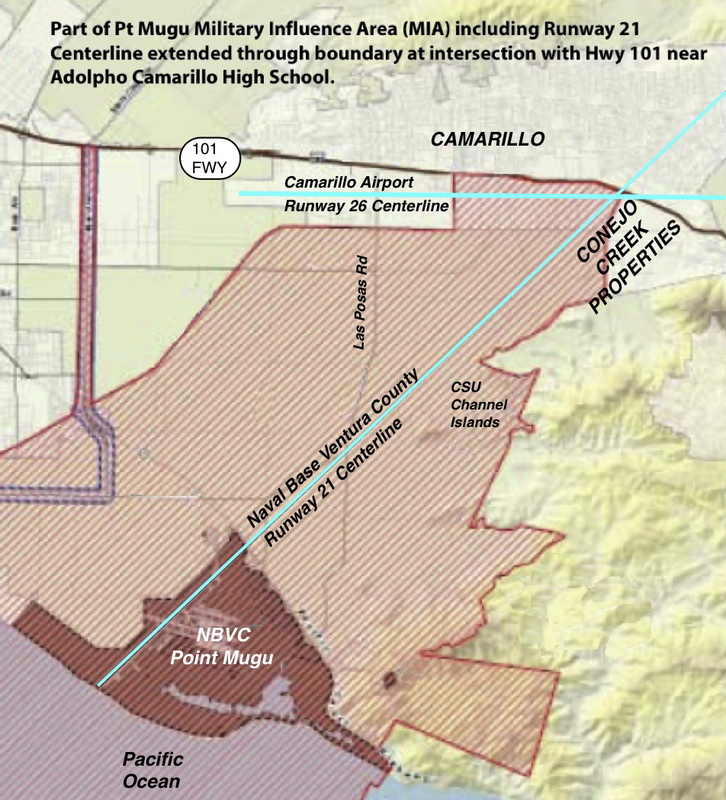 The Camarillo Airport is in bright blue to the left. The large light green farmland parcel along Pleasant Valley Rd. lies directly underneath the inbound flight path (final approach course) for the Camarillo Airport. This is the farmland at the bottom of the Conejo Grade, our Camarillo gateway view-to-the-sea as we come home down the Grade. It is also the site of the proposed Conejo Creek Properties 2,500 home and 100+ acres of industrial development. The Conejo Creek Properties area is within 1500 feet of the Pt. Mugu inbound runway centerline, at the point where the jets rev-up their engines to lower their landing gear, creating noise and safety concerns for both the Naval Base and for residents. You can become part of the solution! Through your generous contributions, we can work together to protect our lands. A home-grown, farm-fed, grass-roots organization. Our mission is to educate and engage our community to ensure responsible development and preserve agricultural land in the city of Camarillo. Copyright © 2012 Camarillo Sustainable Growth. All Rights Reserved.